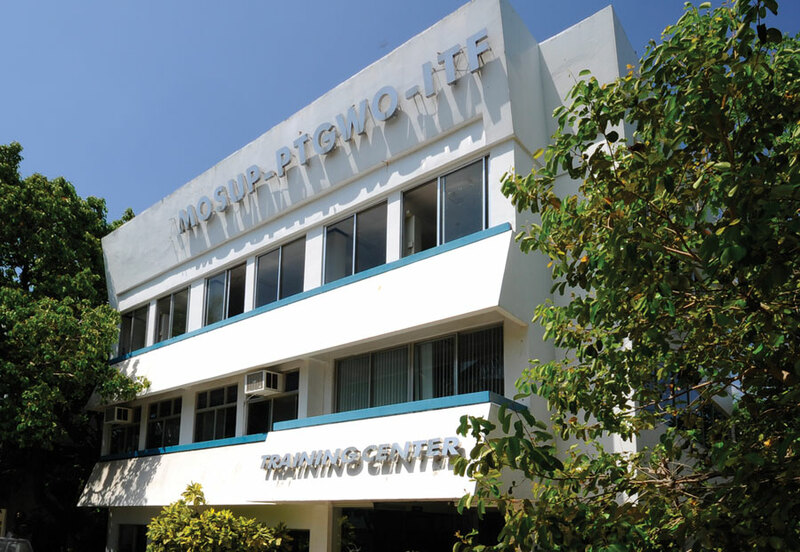 The AMOSUP Seamen’s Training Center (ASTC) is the first and oldest training center for seafarers in the Philippines. It was established in 1972 as one of the subsidiary units of AMOSUP and was co-located with the AMOSUP offices in Intramuros, Manila. ASTC first conducted seminars in 1973 to emphasize unionism, pride in their profession, their duties and responsibilities in their Union, to their country and other subjects on the never-ending technological changes affecting working conditions on board modern vessels of today. In 1999, ASTC transferred to its present site in Kamaya Pt., Brgy, Alas-asin,Mariveles Bataan with the campus of the Maritime Academy of Asia and the Pacific (MAAP) in order for it to avail of all the facilities and equipment of MAAP. ASTC is one of the best-equipped training centers in the country today. It uses state of the art equipment such as a Full Mission Bridge Simulator with ECDIS and AIS, Full Mission Engine Room Simulator, dedicated ARPA and Radar Simulators, Desk Top Engine Simulator with Liquid Cargo Handling Capability for crude oil, chemical products, LNG & LPG and a chemical product tanker simulator. Recently, it acquired a Full Mission Membrane LPG Simulator. It also has a Sea Survival Complex located near the shoreline in Sitio Marina facing Corregidor Island where courses in Survival Techniques, Free Fall Lifeboat, Davit Launched Enclosed Lifeboat and Proficiency in Survival Craft and Rescue Boat (PSCRB) are held. In addition, it also has facilities to conduct various offshore courses such as basic Offshore Safety Induction and Emergency Training (BOSIET), Further Offshore Emergency Training (FOET). Helicopter Underwater Escape Training (HUET), etc. ASTC has seven fully air-conditioned classrooms that can accommodate 24 students each; fully air conditioned dormitory that can accommodate 120 trainees at any one time; and an Officer’s Lounge equipped with billiard table, and television with karaoke system. After classroom hours, the students can use MAAP athletic facilities such as the swimming pool and the gymnasium where they can play basketball, volleyball, badminton and futsal. They could also avail of the MAAP library. Under an equipment sharing scheme with the other departments of MAAP, ASTC student=s can make use of an actual bridge equipment with operational functioning radars, ECDIS, AIS steering equipment, weather facsimile. GMDSS and other radio communication equipment with a separate fully air-conditioned engine control room , two main engines and two auxiliary engines with are all operational to include its associated systems such as air starting, lube oil, and water cooling. Bridge Equipment Familiarization and Watch Keeping with Shipboard Orientation aboard T/S Kapitan Felix Oca. Engine Room Equipment Familiarization and Watchkeeping with Shipboard Orientation aboard T/S Kapitan Felix Oca.